Style darlings have a new bestie around; she’s curvy, chic, and cool — and she goes by the name of ‘Sidonie’. And, she’s lately been spotted on the arms of a number of PYTs. 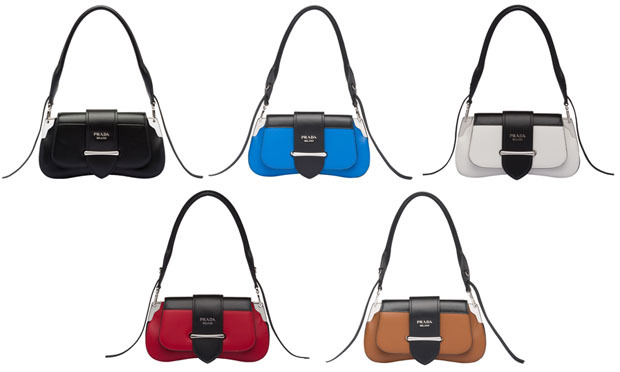 The Prada ‘Sidonie’ bag is fresh from the Resort 2019 collection, and the purse is a beautiful union of form and function with its harmonious lines, distinct flap closure, and a leather handle that offers a polished mood for any outfit (or occasion). The sassy red variation was spotted on Rita Ora, warming up her winter street-style look while Hailee Steinfeld went for a head-to-toe Prada look while in Bilbao, Spain for the MTV EMAs; her black bag was a sophisticated finish to her ditzy-floral granny sweater and girly hot-pink chiffon. 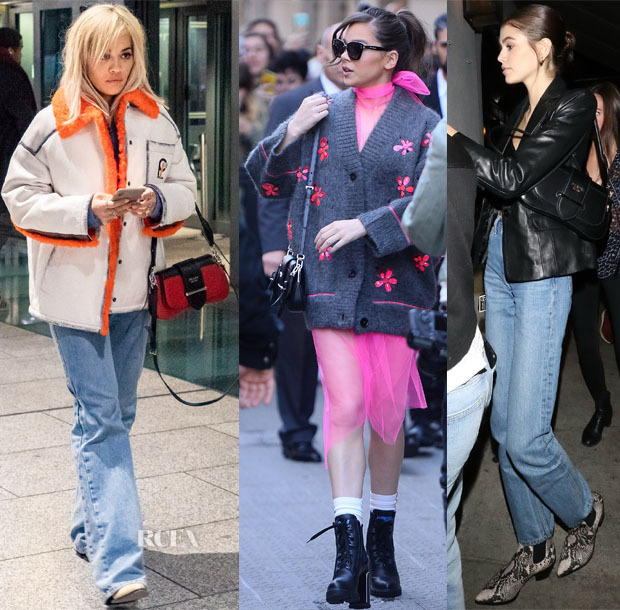 Other pretties the likes of Kaia Gerber, Yara Shahidi, and Bella Hadid have also been seen with the ‘Sidonie’ at their side, showing off her off with nonchalant panache — from snakeskin-spiked, urban-cowgirl style to grunge-forward denim. After all, that versatility is what makes the bag such a beauty. 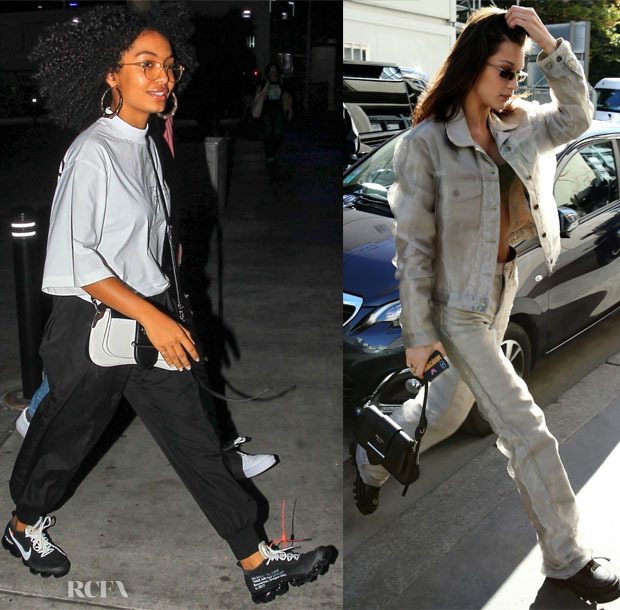 And, can we just take an extra minute to admire Yara’s two-tone athleisure statement — bag and outfit — each of which perfectly plays off the other. No wonder the ‘Sidonie’ is the most stylish, new BFF around.